I back tracked a bit to include the last few verses of ch. 2 because they make an essential point I don’t want us to miss. The people described in 2.23-24 are people who trusted (remember our theme – pisteuo/believed in) Jesus. Nicodemus may been among them because he was a leader of the Pharisees and also expresses a measure of trust in Jesus. Probably no less than the people did – seeing as how Jesus did not reciprocate their trust. John likely had in mind here the Ebionites he was writing to counter, as this describes them quite well – people who trusted Jesus to a point, who accepted him as Messiah – so long as they got to dictate the terms of what that meant. Except Jesus tells Nicodemus this is precisely what his followers can’t do. Their partial trust in Jesus – trust on their own terms – won’t do (partly because trust on your own terms is really just trust in yourself). To see the kingdom, to follow Jesus, requires a change so radical it can only be described as being born all over again, this time from above, that is, by the Holy Spirit. Things pertaining to the flesh have only to do with the flesh. They have nothing to do with the Spirit (in that they cannot control the Spirit). Jesus did not trust his partial followers. This stands as an indictment on them, the Ebionites John was dealing with, and us with our own Ebionite tendencies. Believing that Jesus came from God is not enough. Believing in miracles – then and/or now – is not enough. What is enough? Nothing less than trusting Jesus – trusting him as the Son of God with a vision for the kingdom of God, a radically different kingdom that tests that trust as followers participate in bringing it about. Americans are accustomed to having things on our own terms. American Christians are no different – even in our relations with our Christ. The American church in all its forms – liberal, conservative, emergent, evangelical, Protestant, Catholic, Pentecostal, what have you – has modeled Jesus after our own image and reduced his way of salvation (the way of the kingdom) to our own self-affirmation. We are Americans first and Christians second. 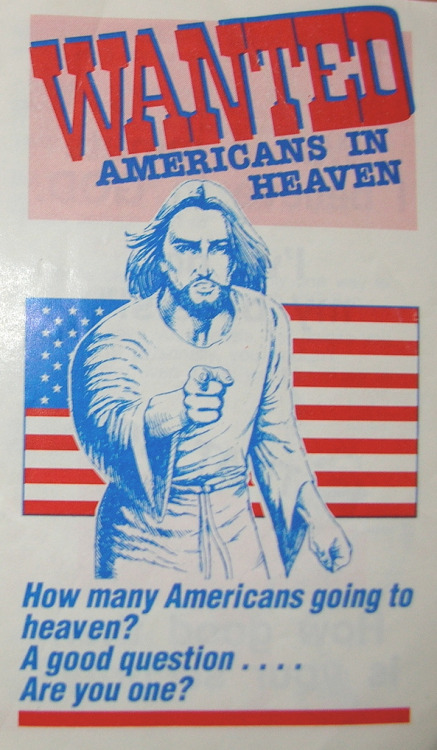 We have a hard time distinguishing the difference between the kingdom of God and the American project. We’re not sure if they are different and even if they are, which one might be better. We are probably more Ebionite than the Ebionites ever were.